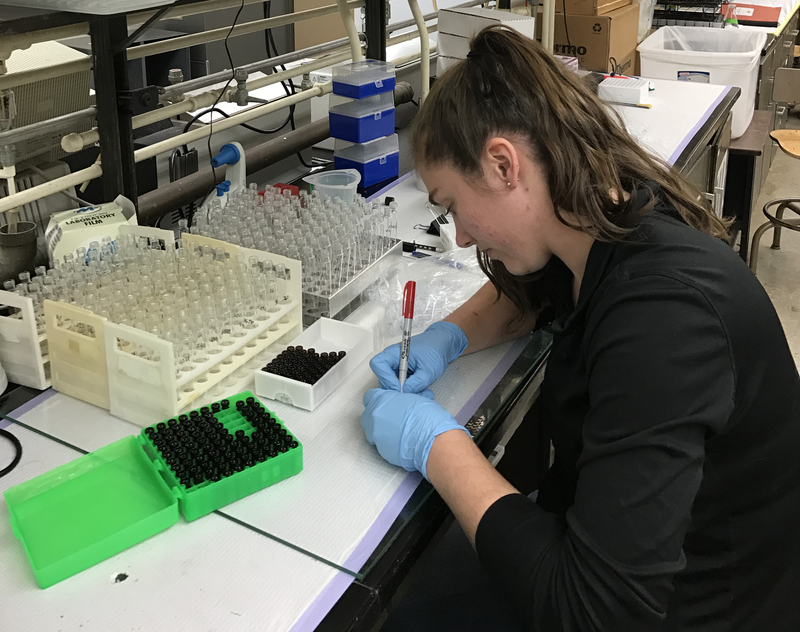 Kristina Weld working in her lab to determine which fatty acids are more beneficial to the health of the cow during the stressful post-calving period. “My research looks at how the fatty acid profile post-calving affects liver metabolism and gene expression in dairy cows. We will be evaluating the difference between C16 and C18 fatty acids in order to determine which fatty acids are more beneficial to the health of the cow during the stressful post-calving period. I chose to attend UW because I knew that the dairy science nutrition group was large and doing a lot of different types of research. Lucky for me, I was offered a position doing some cool research on how the fatty acids in different varieties of soybeans affect milk fat content. What has proven invaluable to me at UW are the people. The faculty, staff and graduate students here are wonderful, intellectual people who are passionate about dairy. Without their guidance, intellectually stimulating conversation and support graduate school would not be nearly as invigorating. Even the janitors will ask about your research when you run into them while doing lab work at 5am.